During the quarter, tea volume has witnessed good growth in the domestic and international markets. Tata Tea (a strong contestant in the branded tea markets) is looking to tap new opportunities to expand its beverage portfolio in domestic as well as international market beyond tea and coffee, which is expected to be a future revenue driver for the company. Tata Tea Limited, together with its subsidiaries, engages in processing, producing, marketing, and distributing tea products primarily in India. It also involves in the cultivation and manufacture of black tea and instant tea, tea buying/blending, and sale of tea in bulk or value added form. The company's products include bulk tea, instant tea, packet tea, coffee, and strawberry. 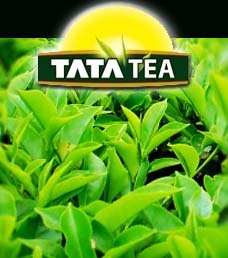 Tata Tea offers tea primarily under Tata Tea, Tetley, Kanan Devan, Chakra Gold, and Gemini brands. It owns approximately 27 tea estates in the states of Assam, West Bengal, and Kerala in India. Earlier this month, Tata tea has forayed into the Rs 100 billion branded cold drinks market with the launch of T! ON, a refreshing cold beverage targeted at the youth. The drink has been launched in three refreshing flavors of mango rush, peach punch and apple buzz.